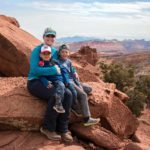 Buffalo Point is a fantastic trail for kids of all ages. 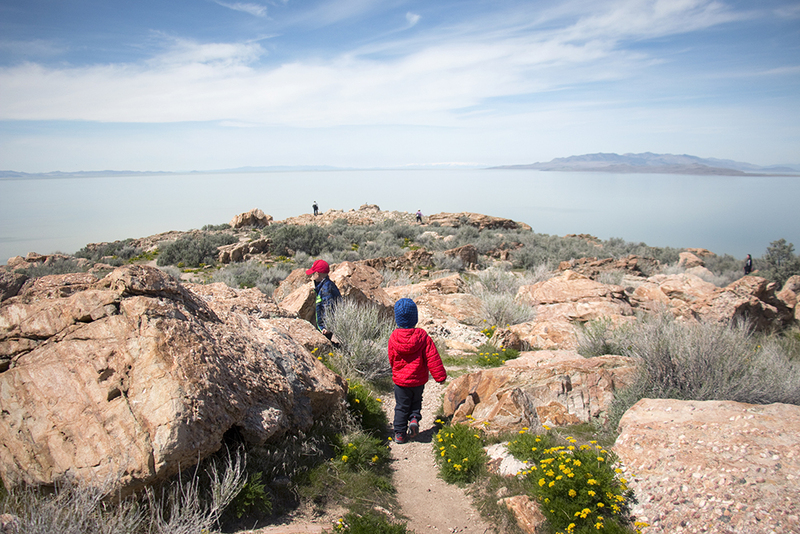 It’s one of the shortest hikes on Antelope Island and offers panoramic views of the Great Salt Lake. The trail is only 1.3 miles roundtrip and totally doable for preschoolers and up. Brand new walkers will likely fare better if they are worn in baby carriers because there is some gravel that can be slippery in spots and the trail can be uneven. Once you get to the top, the trail widens and splits off in many sections and meanders around big boulders that are awesome for climbing. Some have little caves hidden inside that are the perfect size for kids. 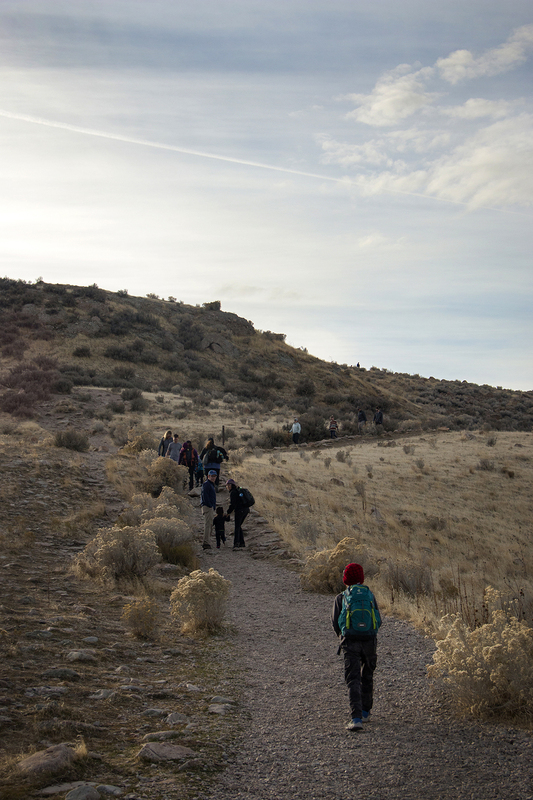 Lucky hikers may see a lizard sunning itself on rocks or you may see a bison, antelope, or mule deer off in the distance too. There are vault toilets at the trailhead along with a wide, open deck that has picnic tables and allows visitors to see a beautiful vista without actually hiking the trail. 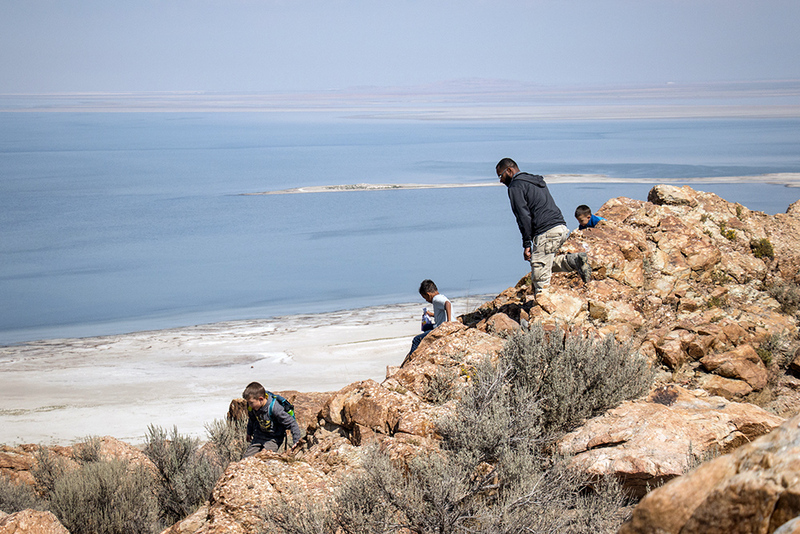 Panoramic Views of the Great Salt Lake. 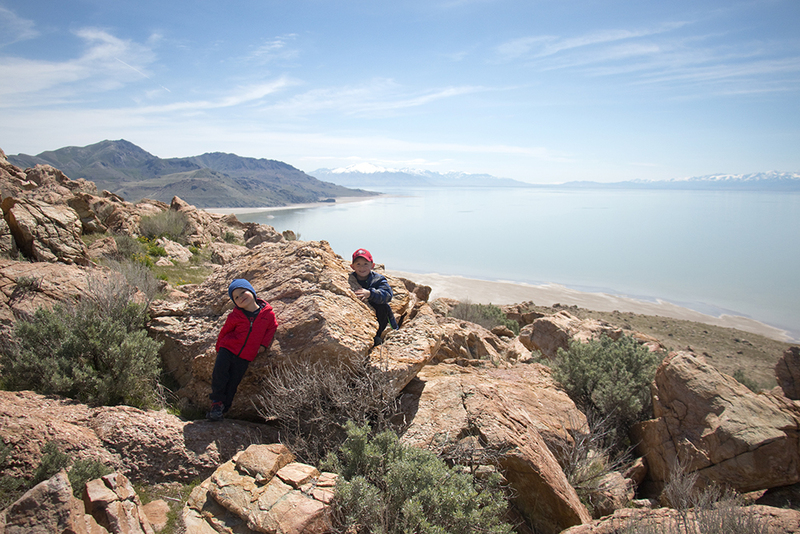 Wonderfully craggy boulders for kids to climb and explore. The trail can have slippery gravel in some spots. Best hiked in fall, winter, and spring. Summer is least desirable due to biting flies and gnats that can swarm. 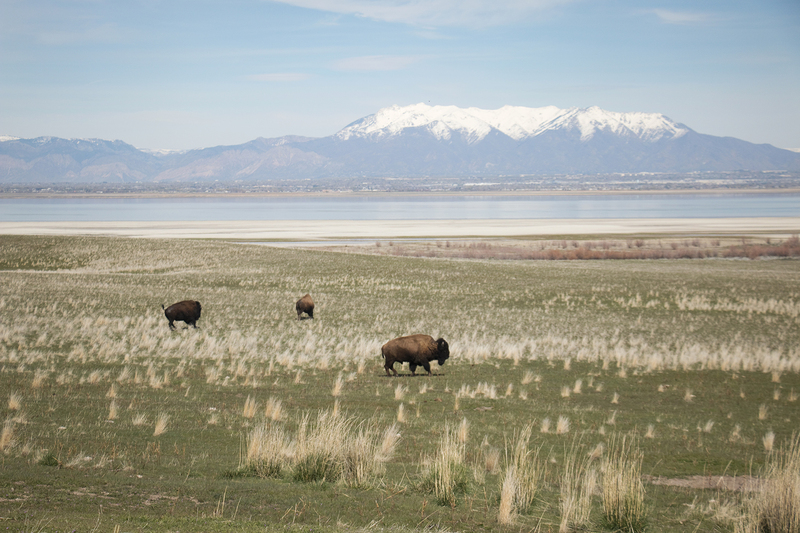 Bison roam freely on the island, and it’s highly advised to keep your distance. We’ve never seen one physically at Buffalo Point, but it’s always a possibility. 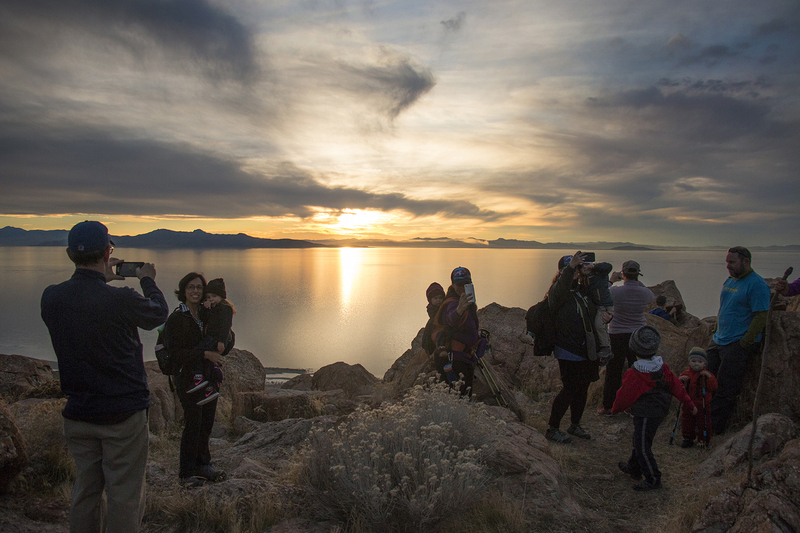 Buffalo Point is a great place to view an epic sunset and do some stargazing if you’re there after dark, it’s a certified International Dark Sky Park. 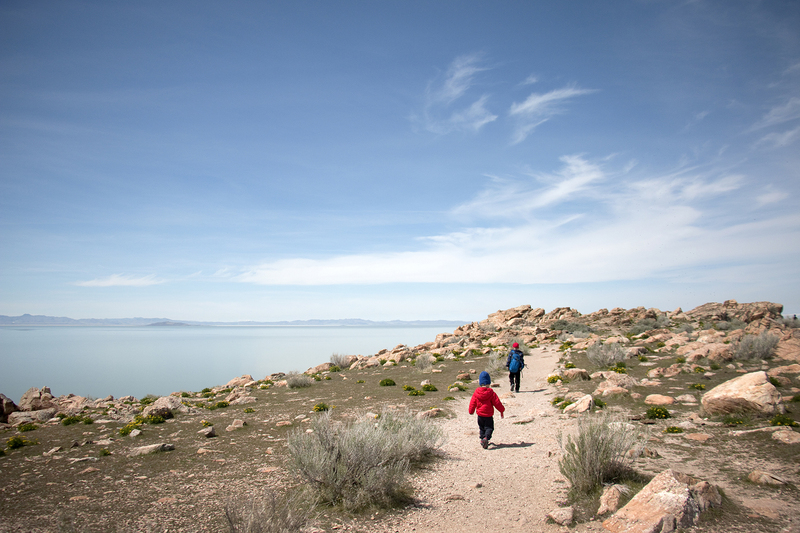 $10 per car to enter Antelope Island State Park. The fee includes access to the visitor’s center when it’s open plus the ability to explore the whole island.